Yawrrrrrgg! It looks like it’s a pirate's life for this little one! If she's ready to lift anchor and set sail into the seven seas, the first step will be to get her outfitted like a real buccaneer. 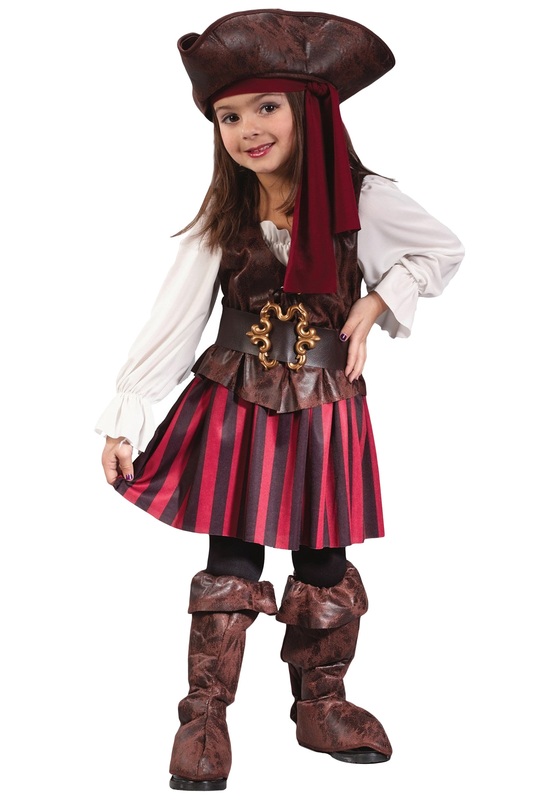 So grab her this Caribbean Toddler Pirate Girl Costume and your kiddo will be ready for any adventure that comes her way this Halloween. With this spunky, fun costume, she’ll be ready to become the cutest pirate to ever sail the ocean blue. In no time she will have gathered up more treasure than Calico Jack and Blackbeard combined. Her fleet of ships will be the largest the world has ever seen. Her crew will have an unmatched amount of respect for her and an unwavering loyalty. How will all this be possible? Well, when your youngster is dressed up in this adorable Pirate Girl Costume, no one will be able to say no to her. Instead of ruling the seas with fear, she will use her cuteness to reign supreme as a Pirate Queen! Look through our adult and other child pirate costumes, and the whole family can sail around the neighborhood as the friendliest crew of candy-loving pirates for Halloween. Prepare your tiny tyke for the adventure of a lifetime with this Caribbean Pirate Costume! It comes with everything included in the picture, but we would suggest taking a look at our pirate weaponry. Being a pirate is so much more fun when you have a shiny sword to swing around!